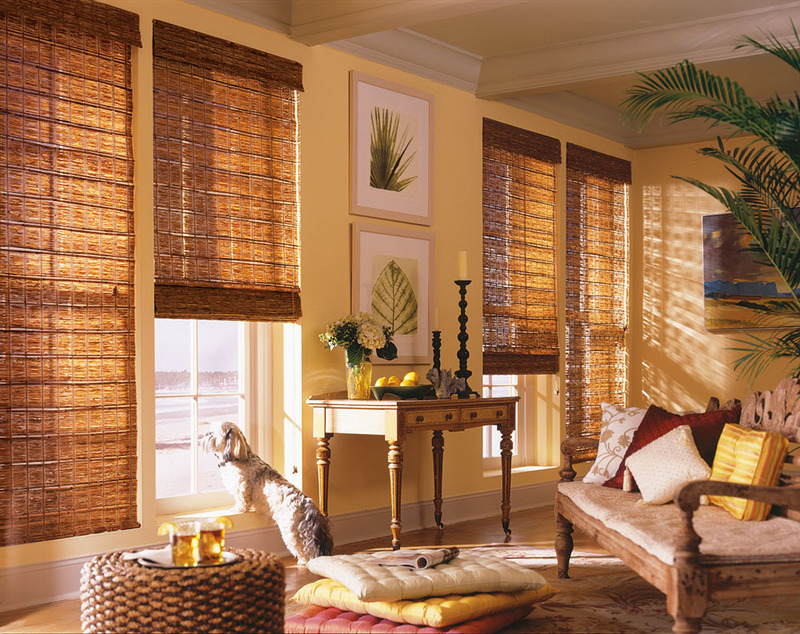 Natural Woven Shades and Woven Selections provide beautiful organic characteristics that can stand alone on any window or be combined with drapery and other window treatments to add an additional touch of elegance. 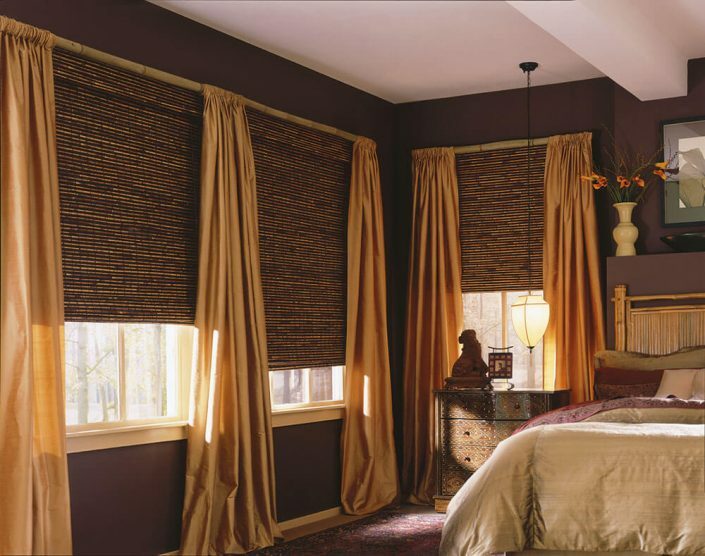 Also known as Bamboo Shades, Grass Clothes and Woven Woods, Natural Woven Shades are made by looming unique combinations of wood, bamboo, rattan, jute and other natural products to create an almost endless pallet of warm & colorful selections. 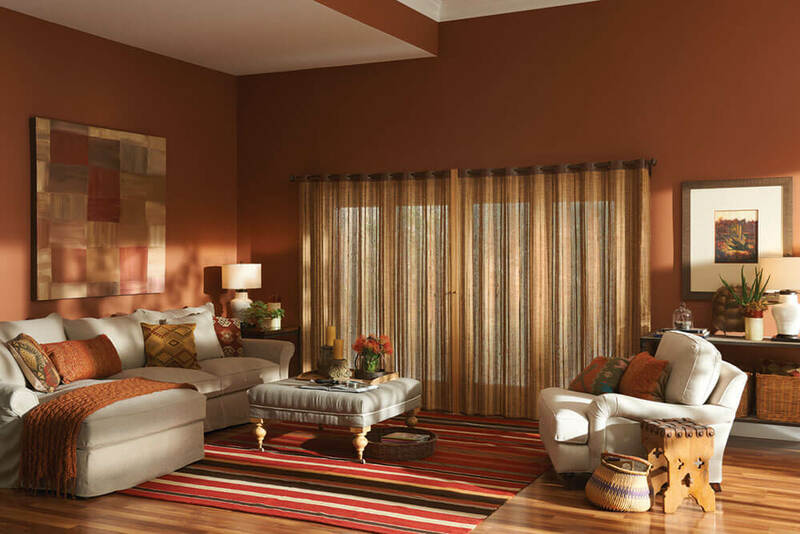 Natural Woven Selection Shade material can be used to cover windows with shades that raise & lower or sliding glass doors and window walls with designs that traverse from side to side. Natural weaves give you numerous choices in texture and design and add an earthy touch to any room in your home. 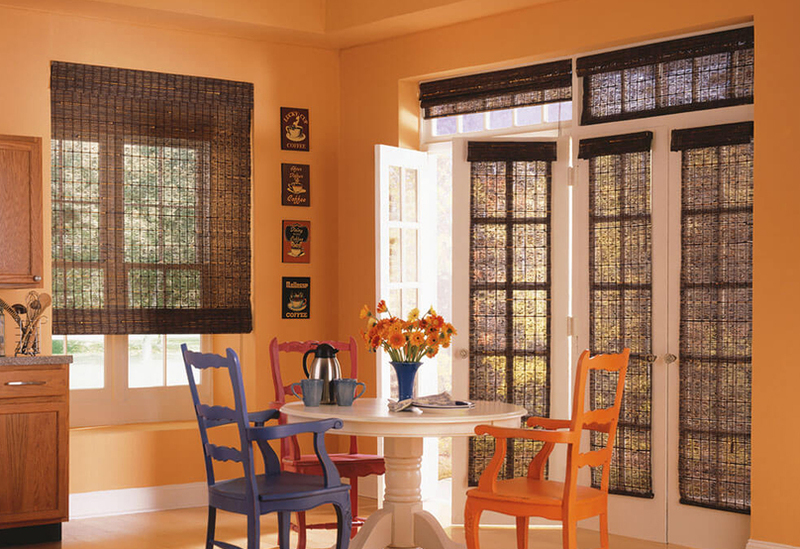 Woven shades can have fabric liners to add extra light filtration or even provide full room darkening. Rope and twin can be woven into the shade for additional texture and style. 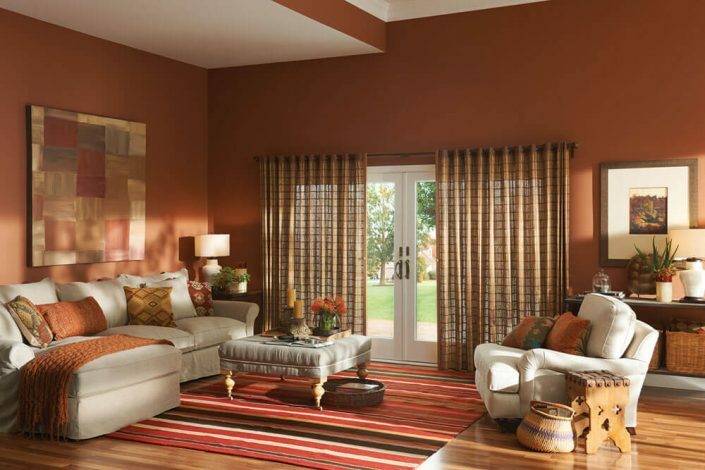 Decorative trim options and edge bindings can create a beautifully personalized look for any window treatment. Wood tones are available in choices of cherry, mahogany, pine, ash and more to complement existing furnishing or provide your desired amount of contrast. 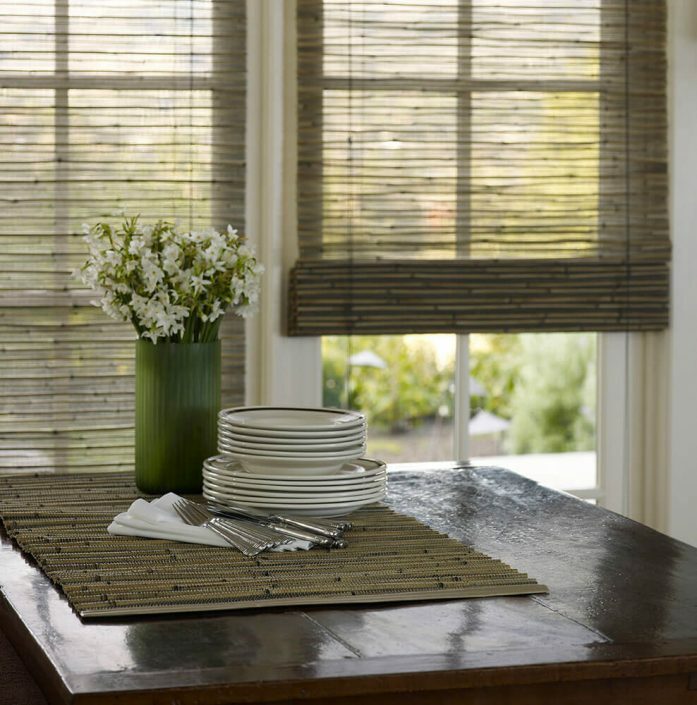 Weathered woven wood shades or bamboos are an excellent option for kitchens and sun-rooms. These shades can be used to add an exotic, sophisticated look or a simple, rustic appeal, depending on your choice of colors and materials. Add a natural wood valance to complete the window treatment. Control Options: Standard Operation, Cordless Operation, Top Down Bottom Up, Vertical Drapery and Vertical Panel Track. Specialty Shapes: Natural Woven Shades can be manufactured Arched and with Angle Tops. 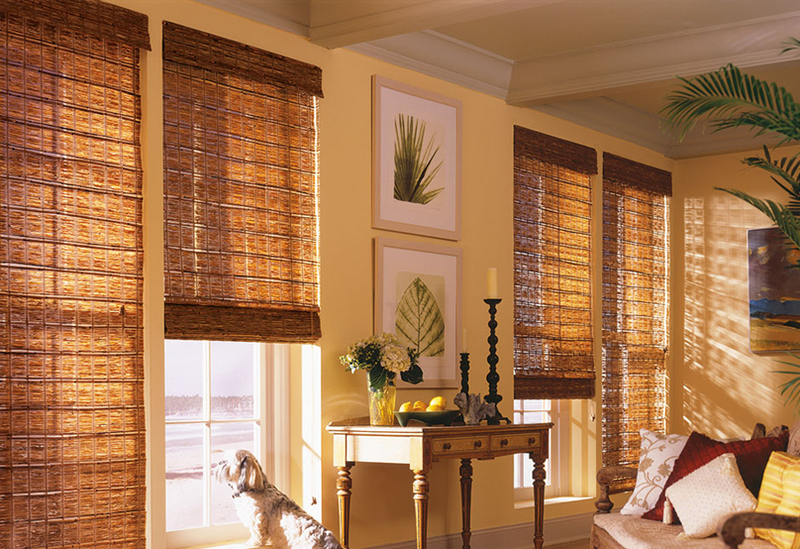 Designer Features: Natural Woven Shades are available with decorative trim and edge banding. 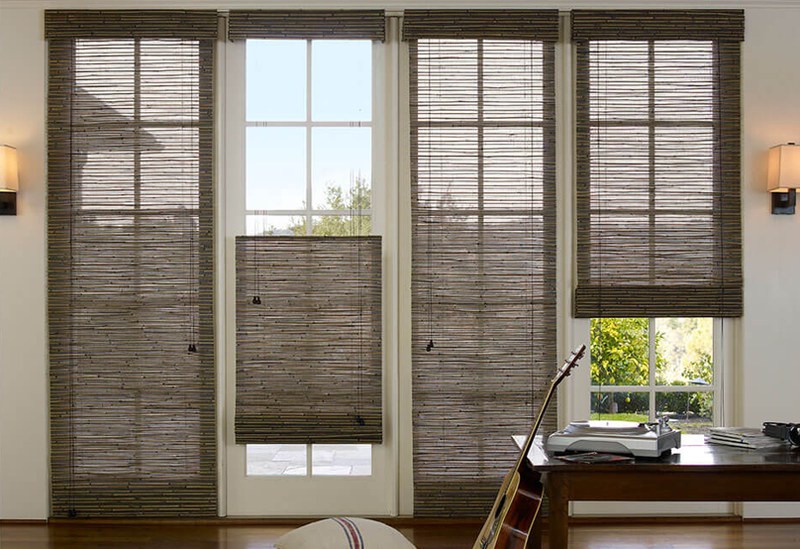 Motorized Operation: Natural Woven Shades can be motorized and operated via remote control or integrated with building automation systems. 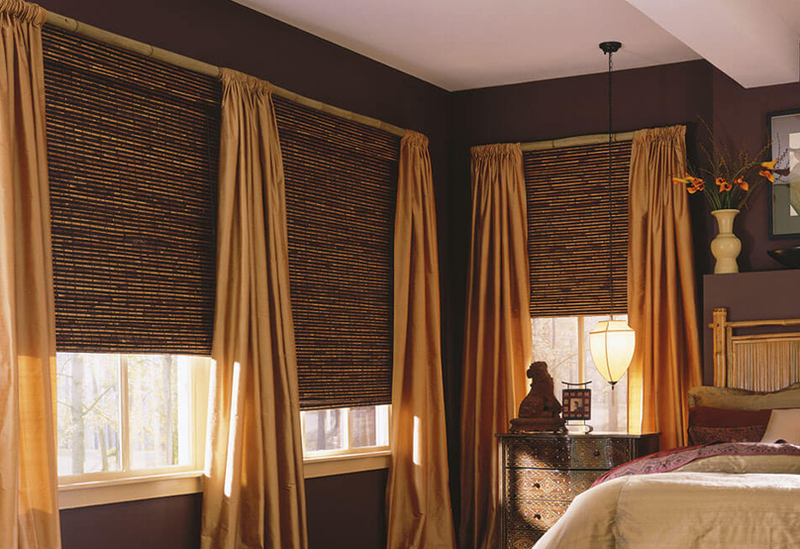 Energy Consumption & Comfort: Natural Woven Shades can be lined with light colored materials to reflect solar heat and provide a thermal barrier to temperature differential.